Draft: 2015, Toronto Blue Jays, 7th rd. Was born in McDonough, GA, roughly 30 miles south of Atlanta. Young left-hander was added to the Giants' 40-man roster on December 13 after being selected from Toronto in the Rule 5 draft in Las Vegas, NV....Sported a minuscule 0.95 ERA in 43 relief appearances, notching eight saves and striking out 74 batters in 56.2 innings between Class A Advanced Dunedin and double-A New Hampshire...Allowed just six earned runs all season between the two teams and had a 22-inning scoreless stretch from July 3 to August 29...Was named a Mid-Season All-Star for Dunedin...Enters 2019 ranked as the Giants' 26th-best prospect by MLB Pipeline. December 13, 2018 San Francisco Giants claimed LHP Travis Bergen off waivers from New Hampshire Fisher Cats. June 1, 2018 LHP Travis Bergen assigned to New Hampshire Fisher Cats from Dunedin Blue Jays. April 2, 2018 LHP Travis Bergen assigned to Dunedin Blue Jays from Vancouver Canadians. August 14, 2017 LHP Travis Bergen assigned to Vancouver Canadians from Lansing Lugnuts. July 25, 2017 Lansing Lugnuts sent LHP Travis Bergen on a rehab assignment to GCL Blue Jays. April 6, 2017 LHP Travis Bergen assigned to Lansing Lugnuts from Vancouver Canadians. July 21, 2016 LHP Travis Bergen assigned to Vancouver Canadians from GCL Blue Jays. April 4, 2016 LHP Travis Bergen assigned to Lansing Lugnuts from Vancouver Canadians. September 24, 2015 Vancouver Canadians activated LHP Travis Bergen from the 7-day disabled list. July 13, 2015 Vancouver Canadians placed LHP Travis Bergen on the 7-day disabled list. June 22, 2015 LHP Travis Bergen assigned to Vancouver Canadians. 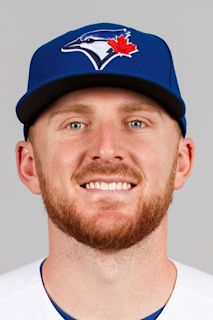 June 15, 2015 Toronto Blue Jays signed LHP Travis Bergen.